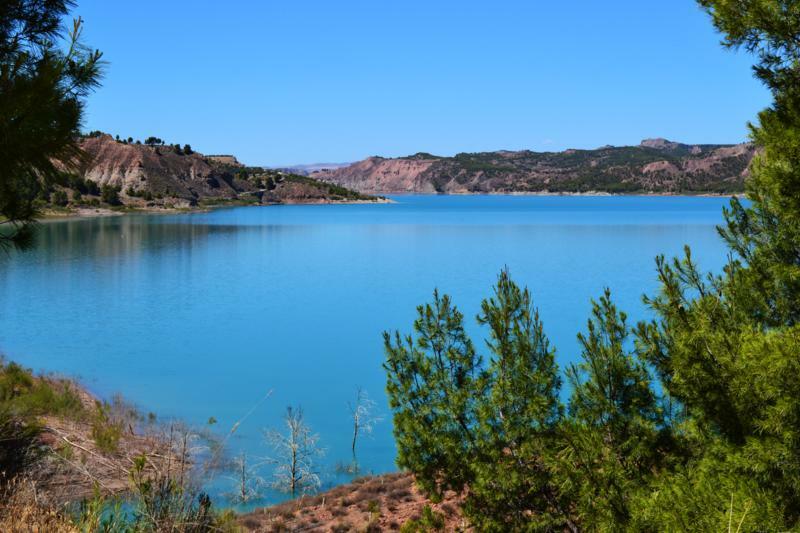 Zújar Spa Resort - La Alcanacia Hotel is surrounded by nature, in a zone famous for its thermal baths, and offers privileged views of the Negratin lake. Zujar Spa Resort is located in the municipality of Zújar, in the North area of the province of Granada. Very close to the well known city of Baza and 110 km from the capital of Granada. By road, from the city of Granada, you must take the A-92 towards Baza. Take exit 295 to join the A-315 towards Zujar / Cuevas del Campo / Pozo Alcón. The A-315 road leads to the municipality of Zújar and through it, to the Zujar Spa Resort. The nearest airports are Granada and Almeria, 115 km away and 155 km respectively. Also the nearest train line is located in Guadix, 48 km away. Do you have any questions or would you like more information about us? Contact us through the form or by calling us.